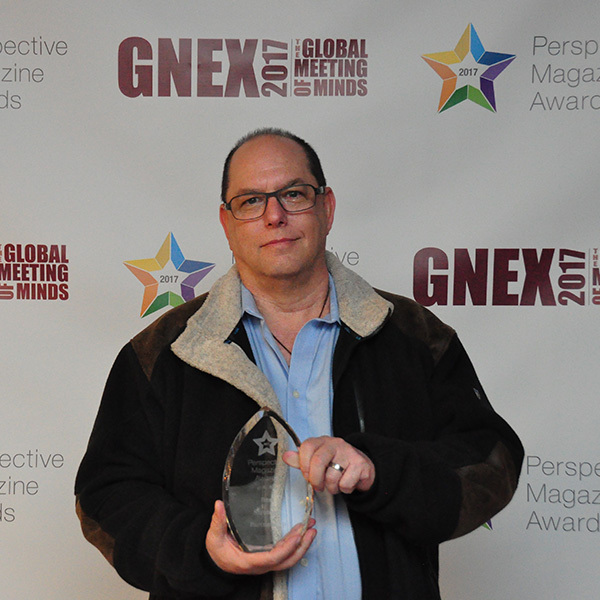 Orlando, Florida, February 27, 2017 (INTUITION) – Timeshare Pro Plus, producers of the only timeshare-specific, online title and back office related services software, took home the Perspective Magazine Award for Best Strategic Partner at the GNEX Conference in February. Timeshare Pro Plus’ software modules are fully integrated with DocuSign®, the top providers of electronic signatures and leading solutions for Digital Transaction Management. The software is setting a new standard for convenience and ease through the integration for all businesses and users. The unification of Timeshare Pro Plus and the electronic signature service is a strategic partnership that assists both resorts and customers by helping organizations of all sizes and industries accelerate contracts, approvals, and workflows. Winners were decided by a format unique to the timeshare and hospitality industry, with four anonymous veteran industry judges and an online voting portal where industry professionals had their opportunity to influence the outcome. Contenders shared their nomination through marketing materials, company websites, and social media platforms. Each individual judge’s vote counted for 20 percent of the results, with online voting accounting for the remaining 20 percent of the score. Now taking only minutes, the back and forth inconvenience of mailing or faxing documents has come to an end with the integration thoroughly eliminating hassle, cost, and most importantly lack of security. Timeshare Pro Plus the perfect platform to for business solutions and is clearly deserving of the 2017 Perspective Magazine Award for Best Strategic Partnership. The addition of DocuSign® replaces printing, faxing, scanning and overnighting documents with the easiest, fastest, most trusted way to make every approval and decision digital. Timeshare Pro Plus modules offer the electronic signature solution and Digital Transaction Management platform to help clients send, sign and manage contracts from anywhere, anytime, on any device. Timeshare Pro Plus resort clients will now be able to offer their customers an automated method of signing contracts and other documents. Timeshare Pro Plus offers online software for resort developers, management companies, HOAs, and sales organizations to use when handling the paperwork and communications activities involved in the process of transferring a title. Modules including TimeshareProPlus.com, RequestMyEstoppel.com, HoldMyEscrow.com and JiffyDocs.com may be used individually or as a whole package to complete necessary forms, collect payments and fees, and produce documents in less than an hour. the paperwork and communications activities involved in the process of transferring a title. The software is capable of simplifying the process for both resorts, timeshare buyers and sellers. Depending on clients’ particular needs or requests, Timeshare Pro Plus offers several modules, including including TimeshareProPlus.com, RequestMyEstoppel.com, HoldMyEscrow.com and JiffyDocs.com, that may be used individually or as a whole package to complete necessary forms, collect payments and fees, and produce documents in less than an hour. For more information, visit www.timeshareproplus.com.